If you haven't already done so, you can join the PTO for 2017-18 right on our website. Annual dues per family are only $10. 100% of the dues collected are put back into our school and are spent on enhancing school programs for the benefit of all of our children. 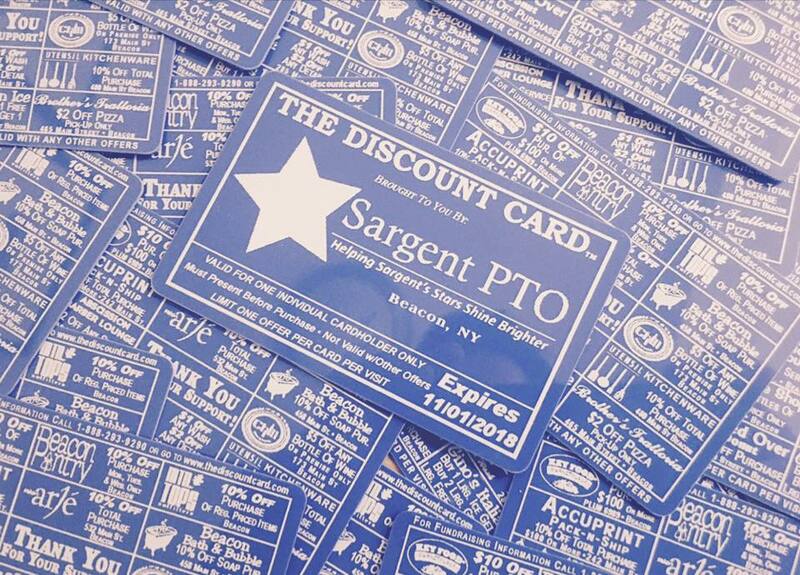 Get Your Sargent PTO Discount Card and Save All Over Town! Help the Sargent PTO raise much-needed funds for school projects while supporting local businesses by getting our exclusive Discount Card! Purchase a Discount Card for only $10, and use it at participating businesses all over Beacon for special offers. From a percentage off your purchase to special freebies, enjoy "VIP status" across town. These cards also make great holiday gifts for Beacon friends! Discount Cards can be purchased right on the Sargent PTO website, or see one of our Board members. We'll also be selling them at various school and community events so watch for more news on sales locations. Thanks to these fine local businesses for signing on to help Sargent kids and teachers! Calling all Sargent families, staff and community friends! Visit the Barnes & Noble in Poughkeepsie this Saturday, November 11th between 10:00 am and 8:00 pm to enjoy the Mini-Maker Faire taking place at the store. It's an incredible event for kids of all ages to learn how to make exciting inventions using construction toys, computer coding, and traditional tinkering methods. It's free, with demos throughout the day and three workshop stations for kids ages 3-7, 8-12 and 13+. Purchases you make in Sargent's name using our special offer code will help raise funds for innovative classroom supplies at Sargent. Friends and family can even shop online from November 11th through November 17th using the code 12223707. See you at Barnes & Noble on Route 9 in Poughkeepsie this Saturday! School Picture Retakes are on Wednesday, November 15th! Check your child's backpack for more information. Our next PTO Meeting is on Thursday, November 9, 2017 from 3:45 to 4:45 in the school auditorium. We will meet in the school auditorium. Child care will be provided. Visit our website for a preview of the agenda. One important agenda item is the vote for a new PTO president. To place an item on the agenda, please contact Anna Bergin, PTO Secretary, at annabergin@gmail.com. Read the minutes from our October meeting here. Thursday, November 9th is the annual Senior Luncheon, chaired by Ms. King. Sargent teachers and the PTO collaborate to provide senior citizens from the community with a catered lunch in the auditorium from 11:00 am to 2:00 pm. We still need volunteers to sign up to assist with running the luncheon that day. Contact us to get involved. Since our October Family Fun Night was such a success, we're making plans for a holiday-themed pajama party Family Fun Night on Friday, December 8th. We'll be showing a classic holiday movie for the whole family. Vote on which movie we should show on our Facebook page! This Family Fun Night will also feature a vendor fair with local crafts, art and handmade items for sale. Parents can shop while the kids watch a movie! Reserve a vendor spot for only $10 (a donation to the PTO). Contact us for the official vendor sign-up form. Eat at Chipotle in Fishkill on Sunday, December 10th between 4:00 and 8:00 pm, and 50% of your meal’s total will be donated to the Sargent PTO! Bring in the flyer (which will be sent home in a few weeks), or show it on your phone, or simply tell the cashier you’re there for the Sargent fundraiser (and the giant burritos). It’s dinner for a great cause! On Friday in December 15th, the PTO will hold a "Parent's Night Out" fundraiser. From 6:30 to 9:30, volunteers will entertain your child while you have a chance to do some holiday shopping, organize your home, or enjoy a quiet dinner. We'll provide dinner and beverages for your child, too. Contribute $25 for the first child and $15 for every child after that as a donation to the PTO. Drop your child off at the Sargent Elementary Auditorium between 6:30 and 7:30 and take some time for yourself. This is also a great opportunity to use your PTO Discount Card at participating businesses in Beacon! Shop and Believe in Sargent Kids! Thanks to those who participated in our fall catalog fundraiser. Orders are due today, Monday, November 6th. Orders placed via the paper forms should arrive at the school soon. Internet orders will be shipped directly to purchasers. All PTO meetings are held on Thursdays. Childcare will be provided during sessions held in the school auditorium. Visit our website at www.sargentpto.org. 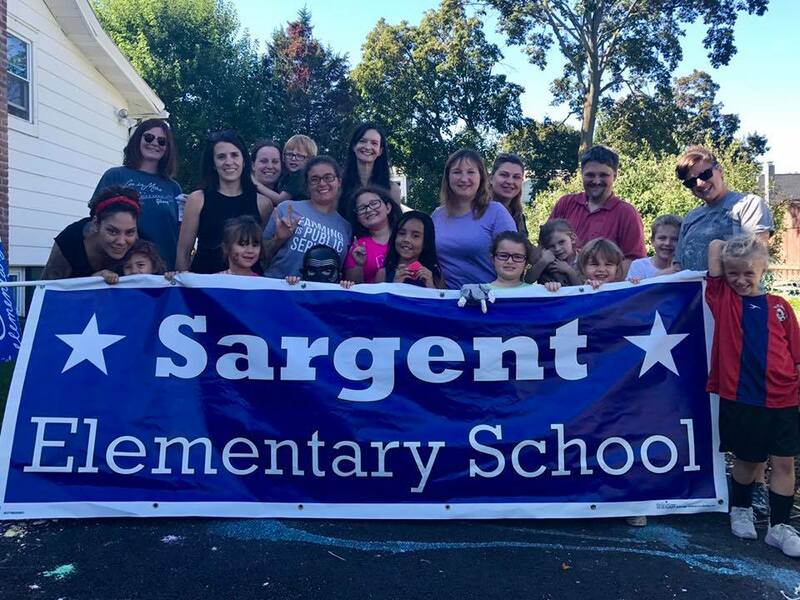 The Sargent PTO is also onFacebook and Twitter! Make sure to Like or Follow us there for updates and announcements.